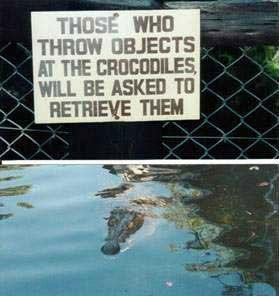 ... and you just know they had to put up that sign due to multiple attempts to feed the crocs! “Intuition is a combination of historical (empirical) data, deep and heightened observation, and an ability to cut through the thickness of surface reality. Intuition is like a slow motion machine that captures data instantaneously and hits you like a ton of bricks." - Arbella Arthur. Tomorrow's economic news includes: GDP at 8:30 AM, Chicago PMI at 9:45 and Consumer Sentiment at 9:55. Earnings include: ACI, CVX, FO and HON. Looking ahead to Monday will be: XOM, HUM and SOHU. For a full list click here. but the time factor is still in play. For EWrs, stop by Alpha’s blog for some great charts tonight, (but make sure you come back or I’ll send a posse out to find you.) Thanks for sharing, A! Below is another chart he generously shares with us here on TTW. FX traders: I was thinking last night that a good way to kick off learning about FX might be to do some Q/A we can publish here on TTW? If you’d be willing to pitch in on that effort, let me know and we’ll do it via e-mail. I'm reading: Cognitive Disconnect $$Tweet this! So - you want to be a trader?